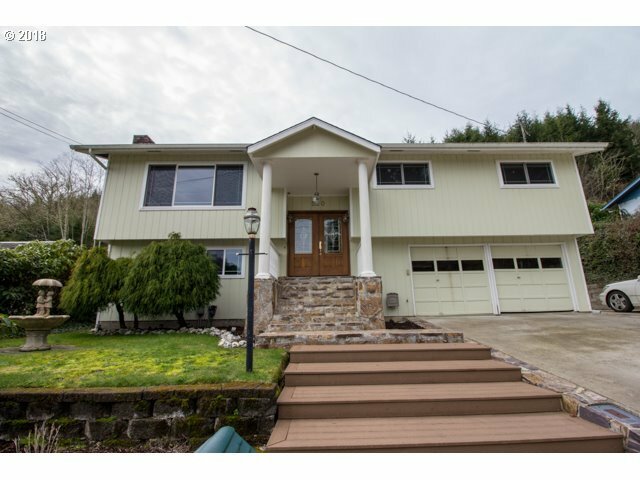 READY FOR YOU IN REEDSPORT Quality residence in well-established neighborhood! Remodeled 1962 SQFT split level includes 4 BD, 2.5 BA, ample bright living room with fireplace and laminate flooring, kitchen with granite & slider to large trex deck into beautiful backyard, attached double garage, and RV side parking. Home has new easy clean windows, 2016 roof, & new heat pump. This quality home is vacant, easy to show, & ready for you!